WAM ABU DHBAI, 31st July, 2013 (WAM)–The Securities and Commodities Authority (SCA) announced that the Eid Al Fitr holidays for the financial markets will begin on Wednesday 29th of Ramadan (7th of August) and will last until the 3rd of Shawwal. 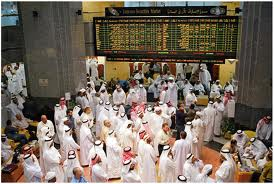 Trading in the financial markets will resume on the 4th of Shawwal. The decision was made in coordination with the financial markets. On this occasion, the SCA offers greetings to President His Highness Sheikh Khalifa bin Zayed Al Nahyan, UAE Vice President and Prime Minister and Ruler of Dubai, His Highness Sheikh Mohammed bin Rashid Al Maktoum, and Their Highnesses the Supreme Council Members and Rulers of Emirates.